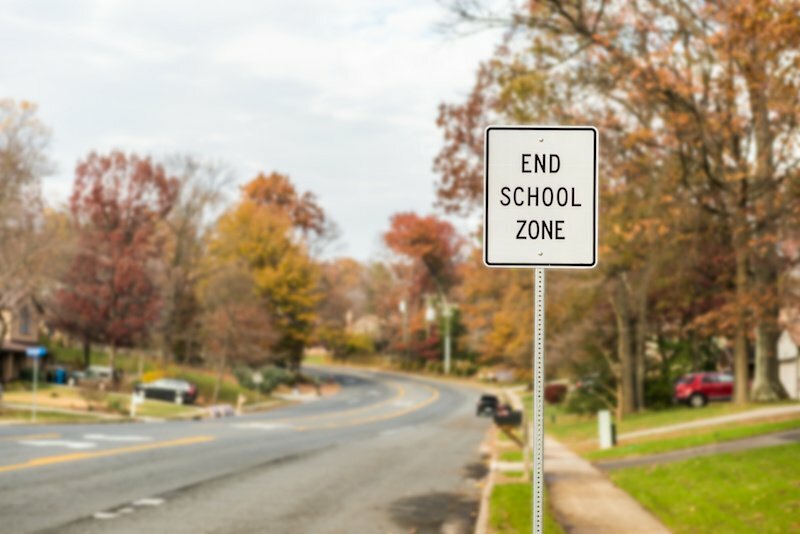 U-turns are a useful maneuver when you find yourself in need of a quick direction correction, but are they legal in Virginia? You rush out the door, grabbing your keys and coffee. You thought you were on time, but as you leave your neighborhood, you realize you’ve forgotten something. Now you’ve got to turn your car around and go back. You’ve seen other people make a U-turn in the middle of the road, but is that allowed? Should you wait until you’re at an intersection to make a U-turn? Are U-turns even legal in Virginia in the first place? These are all common questions that many residents ask. In Virginia, the laws governing U-turns are pretty specific, so it’s good to know how exactly the code defines this useful maneuver. The definition of a U-turn is turning your vehicle 180 degrees to move onto a street that goes in the opposite direction. 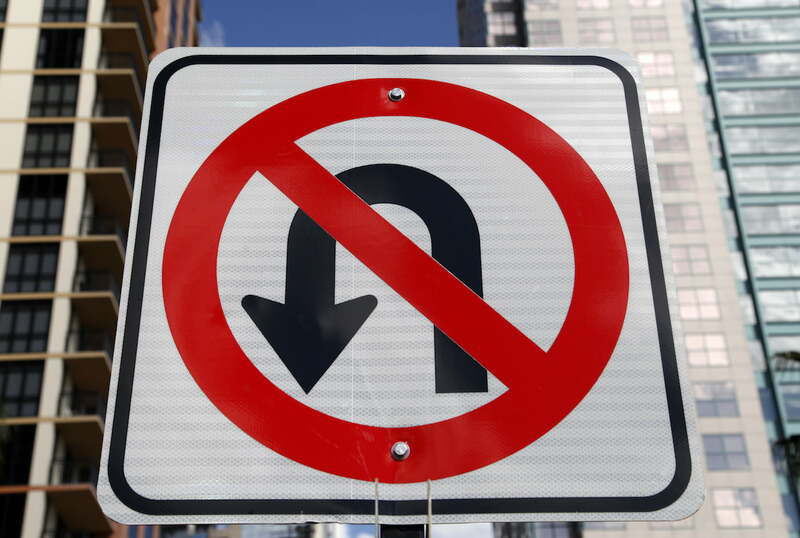 In Virginia, there are several factors to consider if you are attempting to make a U-turn. If you plan to make a U-turn, first be sure that there’s enough space for your vehicle to turn. If you have a large truck or if the road is narrow, chances are you won’t be able to complete the turn without running into the curb. That means you’ll be making a 3-point turn in the middle of the road, which isn’t safe or legal. You should be able to judge with certainty that if you attempt to start the U-turn, you’ll be able to finish it quickly, without stopping. If you’re not sure, don’t try it. If there’s a “no U-turn” sign, you can be certain that it’s illegal to make a U-turn there. Even if there is no traffic and it seems safe, you can’t make a U-turn at an intersection where there’s a sign prohibiting it. Generally, these are placed in locations where a U-turn would be dangerous. This also goes for “no left-hand turn” signs. Think of a U-turn as two left-hand turns. If you can’t make a left turn, you also can’t make a U-turn. If you do, you may get a citation if there’s a police officer watching that intersection. 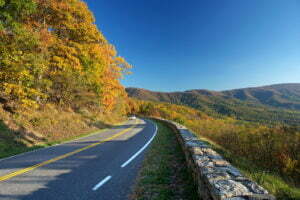 In most cases, Virginia law says that it’s fine to make a U-turn so long as you are able to do so safely. It just depends on where you are attempting the turn. However, note that Virginia law says U-turns are safe only if other drivers can see your vehicle within 500 feet when approaching from any direction. Neighborhood roads – To answer the earlier question: no, you can’t legally make a U-turn in the middle of the road, even in your neighborhood. If you need to turn around before leaving your neighborhood, either find a cul-de-sac to turn around in or follow the block in a big square to get back where you started. Two-lane roads – On two-lane roads where there is a throughway for cars to turn, you may make a U-turn. Intersections – U-turns are legal at any intersection (where two roads cross) as long as there is no sign prohibiting it. However, there must be proper visibility to make the U-turn safe. Highways – Most highways prohibit U-turns. Cars are moving at a speed that’s too high for drivers to make a U-turn safely. Even if you see a throughway to the highway going the opposite direction, don’t attempt a U-turn. These throughways are meant for police and emergency vehicles. If you are caught using them, you’ll get cited for more than just an illegal U-turn. In addition to being charged with improper U-Turn, you could also be charged with failure to obey traffic control device. If an intersection or road has a sign that prohibits U-turns, any U-turn, even if done safely, will be a chargeable offense. “No U-turn” signs and no U-turn laws are put in place for your safety. If it’s illegal to make a U-turn somewhere, it’s probably because the location is unsafe. In Virginia, if you are ticketed for an illegal U-turn, you’ll get fined $81 plus court costs. 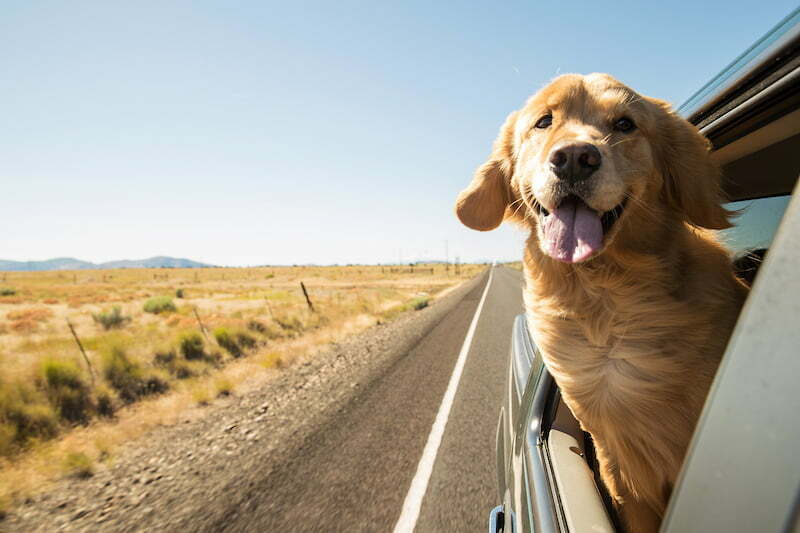 You’ll also get a 3-point violation on your driving record. If you’re convicted of an illegal U-turn, that conviction will remain on your driving record for three years. If you are charged with failure to obey a traffic control device, you’ll be also subject to the same penalties for an illegal U-turn. It may be possible for you to avoid having the conviction on your record. This is especially true in cases where you’ve had a good driving record up until then. It’s best to consult an attorney with any questions about driving convictions. Traffic laws can vary from state to state. In Virginia, you can make a legal U-turn as long as you are at an intersection and there is no sign prohibiting it. U-turns are never legal in the middle of the road or on a highway. Finally, even if there is no sign prohibiting a U-turn at an intersection or throughway, you must make sure you are visible to other drivers from 500 feet away to make a legal U-turn.